If revenge is a dish best served cold, the Iowa baseball team probably has some pretty serious brain freeze right now. 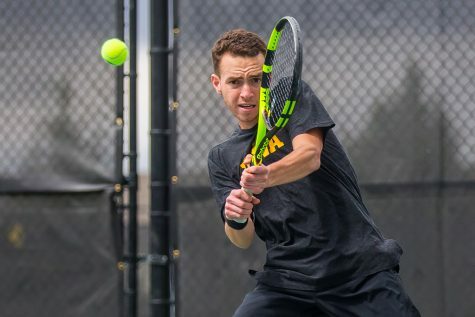 A little more than a month removed from a disastrous 16-5 thrashing at the hands of the Leathernecks in Macomb, Illinois, on April 1, the Hawkeyes returned the favor at Banks Field, scoring a 7-5 win over Western Illinois on Tuesday. 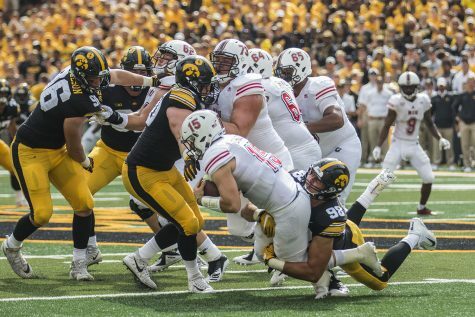 For a team with elephantine memories, the Hawks could not have been more eager for the opportunity. 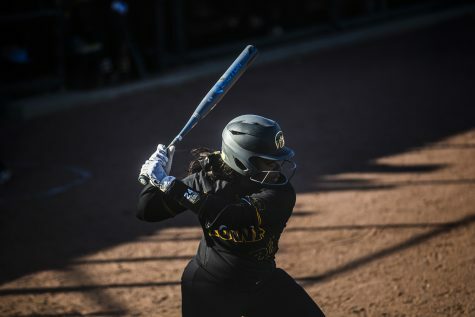 The combination of head coach Rick Heller’s even-keeled presence and an extremely veteran ball club helps ensure the Hawks are never to high or too low after a loss. 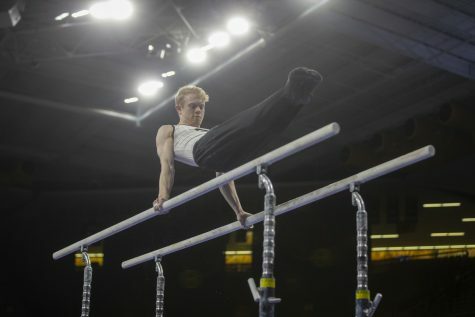 “Wipe it away” has been the team’s motto for handling a poor performance since Heller took over last winter. 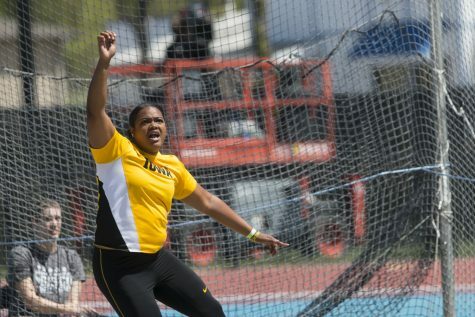 And while the Hawkeyes seem to have taken it to heart, pride can be a powerful thing in sports. 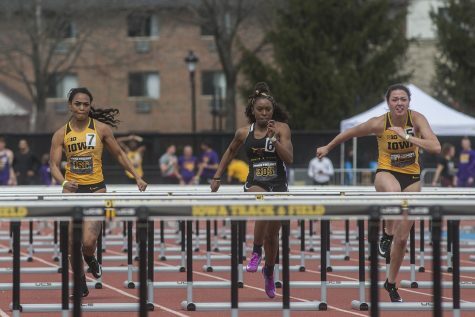 Tuesday’s win won’t erase April’s disaster from the record books, but for the Hawkeyes, it lessens the sting a little bit. Getting a win isn’t half bad either. 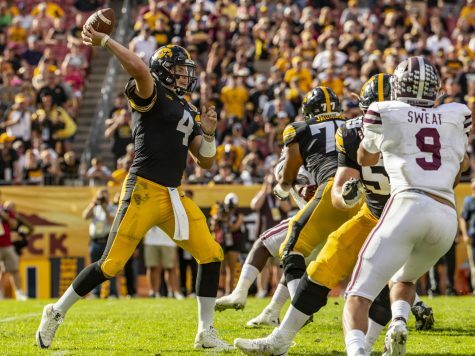 The April 1 loss was straight humiliation for a Hawkeyes squad that was riding high on a five-game winning streak before rolling across the Mississippi into Macomb. After building up a seemingly safe 5-0 lead through four and a half innings, pitcher Connor Grant and the Hawks imploded, giving up a 7-run fifth. They gave up 9 more before the game was through, and the game eventually ended early courtesy of an NCAA mercy rule. 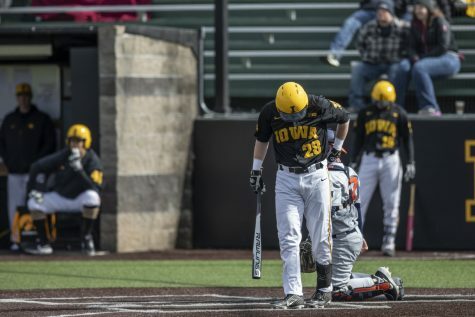 Fast-forward roughly month, and it seemed evident that no one in the Iowa dugout was ready to go through an ordeal like that again. With all the motivation in the world sitting pretty in the back of their minds, the Hawks completed their revenge. 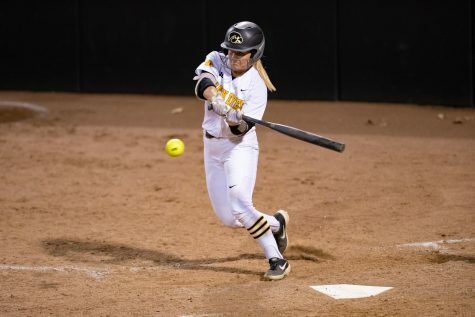 “We had kind of a frustrating day at the plate considering all of the free bases they gave us, but it proved to be enough to get the win,” Heller said.